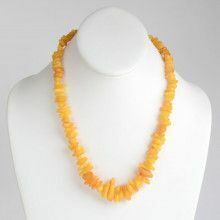 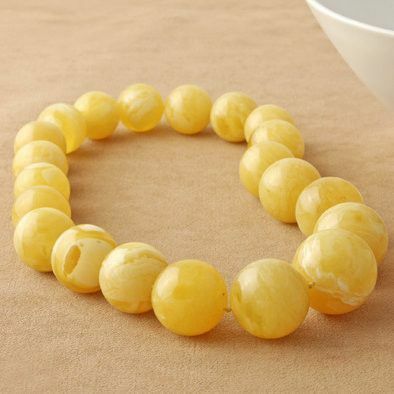 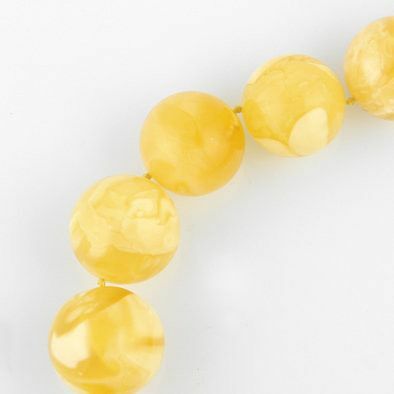 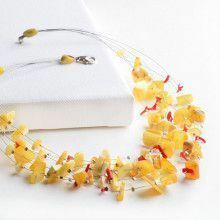 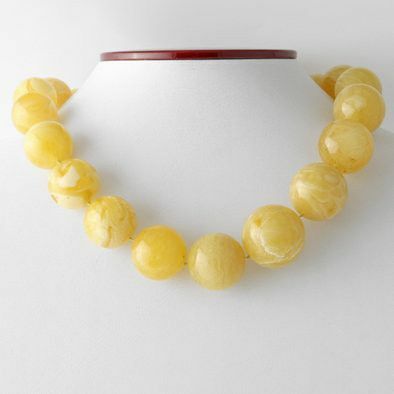 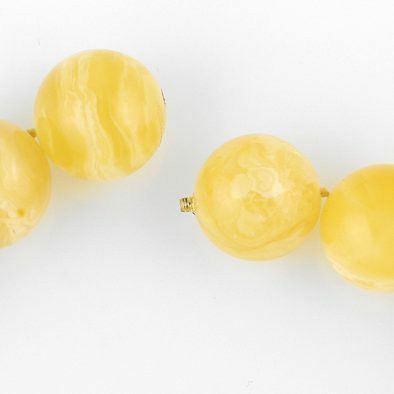 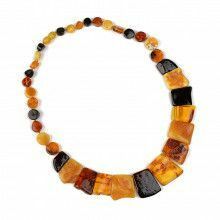 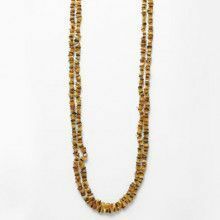 This beautiful, vintage inspired necklace features a graduated string of large round butterscotch amber beads. 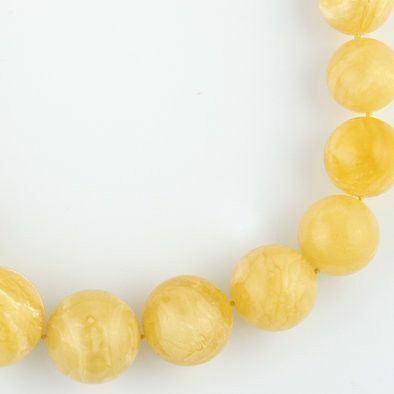 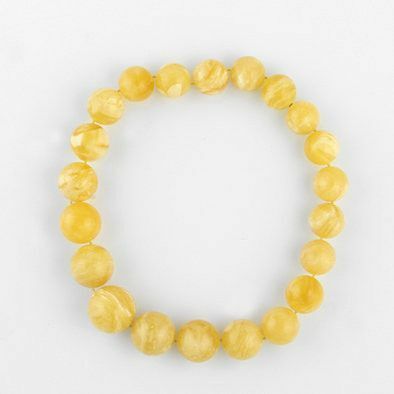 Each bead has a beautiful appearance with natural white swirls. 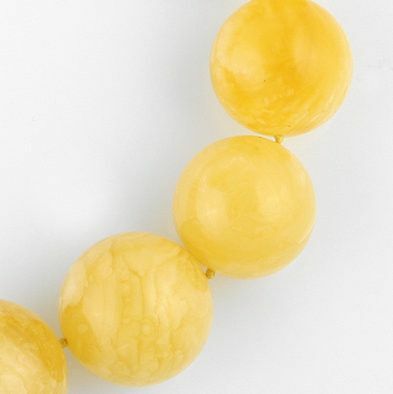 A completely hidden barrel closure preserves the bold simplicity of the piece.